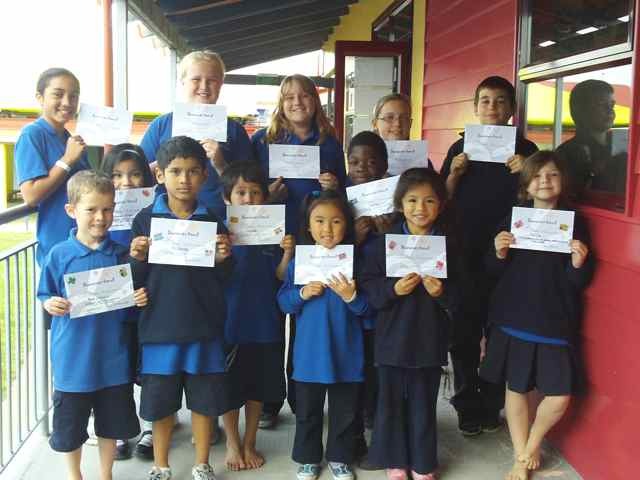 Today the classes from Anawhata had the red patrol from the Henderson fire station visit. We have been learning about fire safety in class and it was great being able to ask real firefighters some of our burning questions. Congratulations to these Anawhata All Stars that received certificates this week. 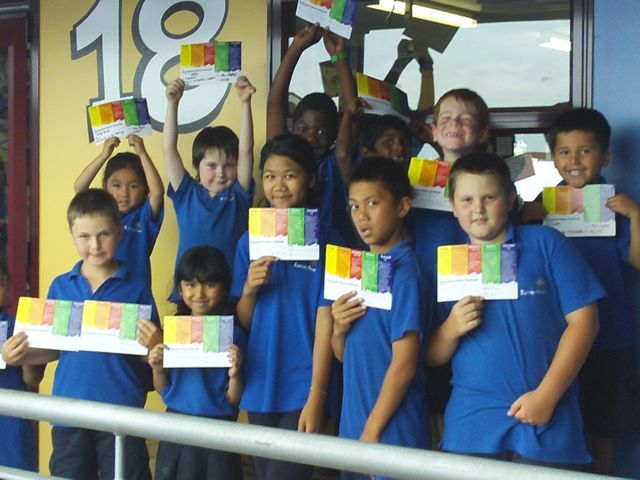 This week the first of our Summerland Values certificates were handed out. 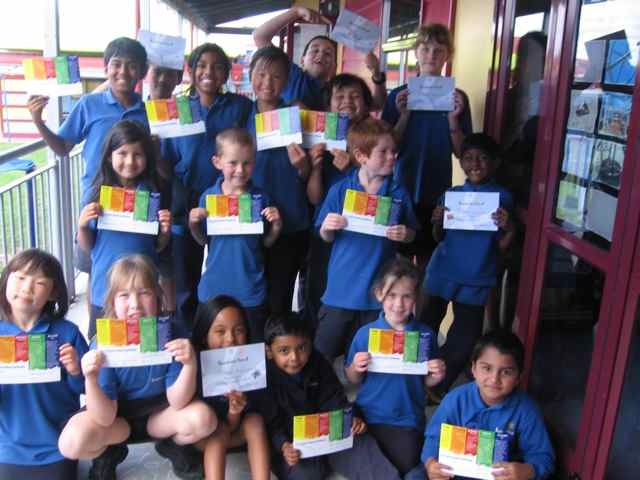 Children need to collect 3 different values certificates and then they can receive a citizenship award. Congratulations to these Anawhata All stars that received classroom achievement certificates this week. This week for discovery time we had a pirate theme. We are learning about self management. We are trying to keep equipment in the right places so that it is easier to find and get to, also we are trying to keep our work areas tidy so things don't get lost! As you can see we are still working hard on this. 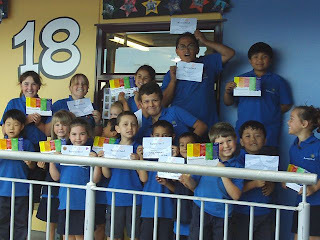 During reading time we are practising reading stories like we are talking to a friend. We have to really concentrate on what we are reading and try to make it sound interesting. Listen to us reading "Paru has a bath". 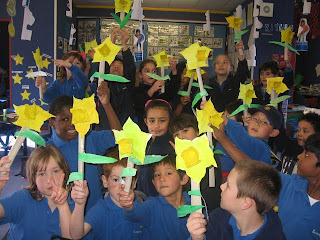 On Friday the 27th of August Room 19 made their own daffodils for Daffodil day. 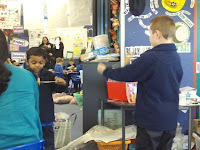 We learned that Daffodil day is the way we help those people with cancer. We all decided to make a beautiful daffodil to take home and give away. 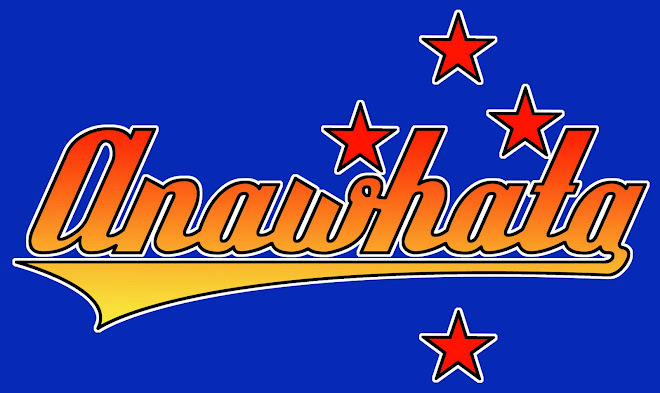 The Anawhata Crew got together today to evaluate the work they did on their I-Clean day. 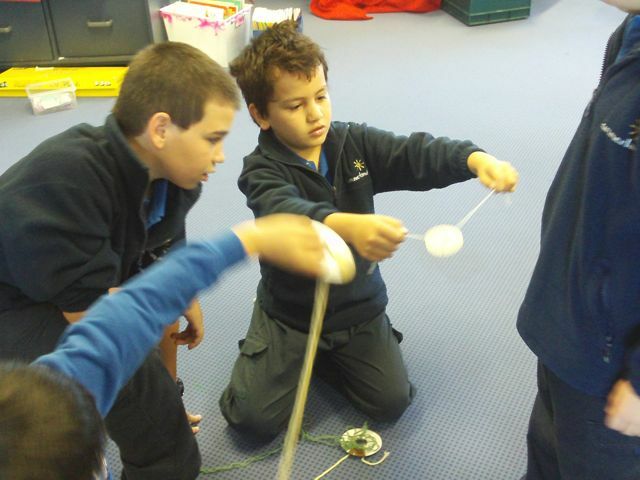 They used De Bono's Thinking Hats to guide their thinking. White Hat- What we did on the day. Blue Hat- Going back and looking at what we did and thinking about what we need to do next. 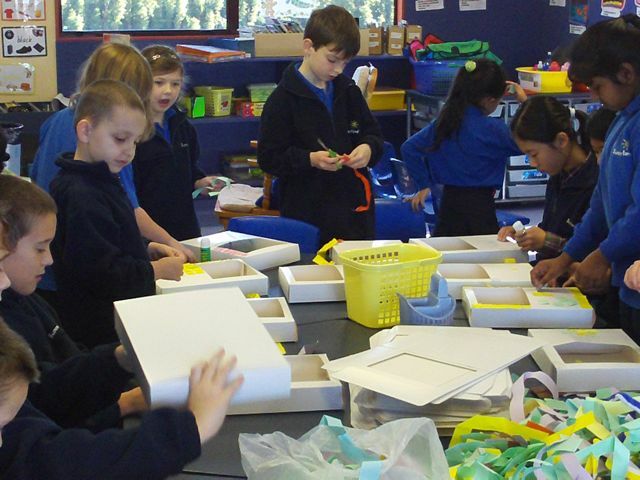 Green Hat- New ideas we have to continue to improve our school. 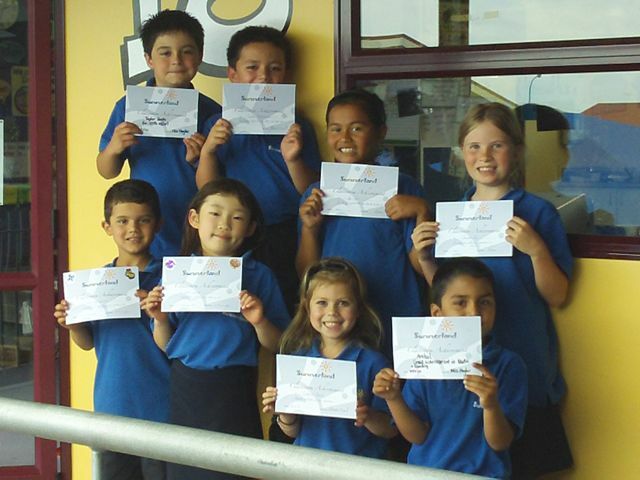 Congratulations to these All Stars who received classroom achievement awards. 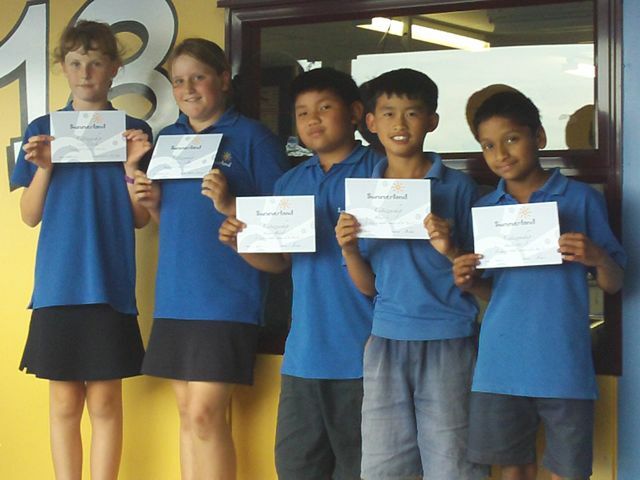 2 special certificates were given out to Kuresa and Callum, for their awesome work on the i-clean day. Check out all the great Anawhata All Star learners that got this weeks certificates! 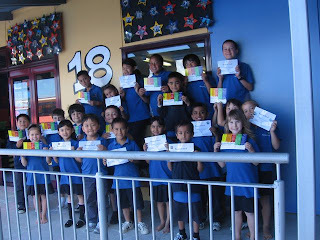 This week for Discovery Time we continued to look at Perseverance. The activities we got to choose from were purerehuia, cut and paste dinosaurs, mosaic photo boxes and pom pom making. All of these activities made us a little frustrated at times but we kept on trying and did our best. 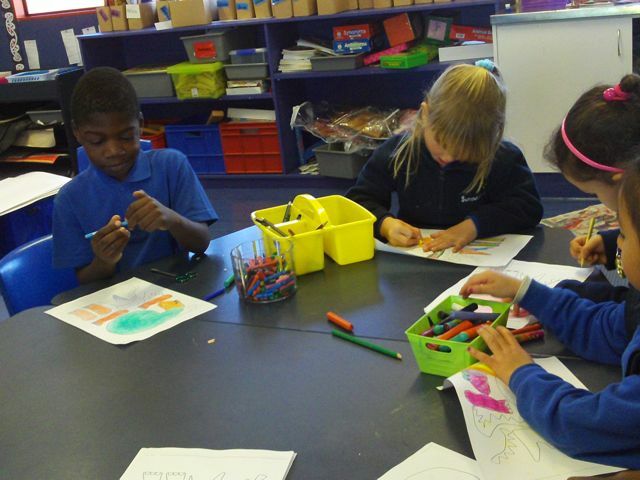 Next week we will finish off our unfinished activities and share them with you!